Heidi Lewis Coleman will be exhibiting her acrylic & cut paper piece, HAMPSHIRE, in the Mattatuck Museum's upcoming show, MIXMASTER. This exciting regional show was juried by Ashley Dillman, Sales Director of Freight + Volume Gallery in New York City. 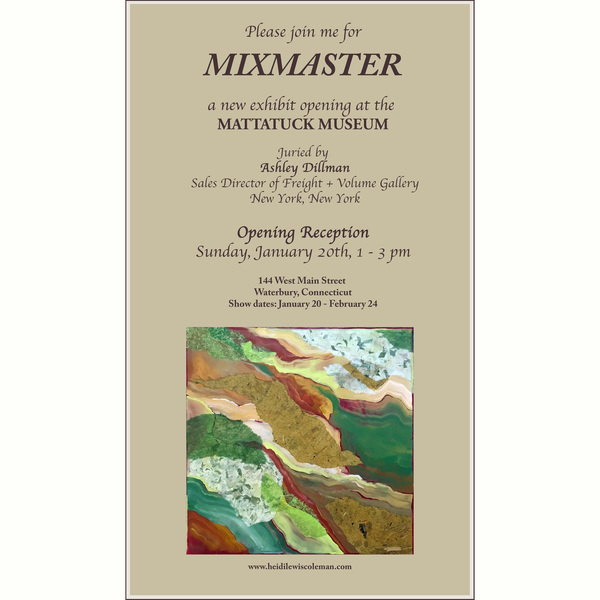 Please join us for the opening reception on Sunday, January 20, 1:00-3:00 PM. The @mattatuck_museum is located at 144 West Main Street, Waterbury, CT. Show dates: January 20 –February 24.